Set in Cold War America, The Americans is a spy thriller television series that chronicles the life of Elizabeth and Phillip Jennings—two Soviet KGB officers posing as a typical American family living in the Washington D.C. area. Their children, friends, and coworkers have no idea that Elizabeth and Phillip are undercover Russian spies. To add to the drama, the Jennings’ neighbor and close friend, Stan Beeman, is an FBI Counterintelligence agent who is actively working to uncover Russian spies. The Americans first aired back in 2013 and is in its sixth and final season. This year, it received four Emmy nominations, including best drama series, lead actor, and lead actress. Click here to watch the Season 6 official trailer. Westworld is a science-fiction thriller television series that takes place in a fictional, technologically advanced Western-themed amusement park. The park is inhabited by human-like androids known as “Hosts.” Guests, known as “Newcomers,” can pay to visit Westworld and indulge their fantasies and desires by doing whatever they want without retaliation from the Hosts, who are programmed so that they can’t harm humans. Westworld premiered in 2016. The second season began in April of this year and a third season has already been ordered for production. The show received 20 Emmy nominations this year, including best drama series, lead actor, and lead actress. Click here to watch the Season 2 official trailer. Game of Thrones is a fantasy drama television series based on George R. R. Martin’s series of fantasy novels, A Song of Ice and Fire. The series has several plot lines, but one of the common recurring themes is the battle between good and evil. The show also has an impressively large ensemble cast that is estimated to be the largest in television history. Game of Thrones first aired in 2010 and is in its seventh season. The series will conclude after the eighth season, which is scheduled to premiere in 2019. This year, it received 22 Emmy nominations, including best drama series, supporting actor, and supporting actress. Click here to watch the Season 7 official trailer. 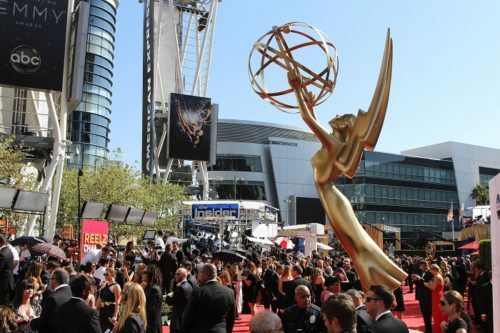 The 70th Primetime Emmy Awards will be broadcast live on NBC on Monday, Sept. 17 at 8 p.m ET/5 p.m. PT. To see a full list of the nominations, click here. Can you trust third-party payment sites?